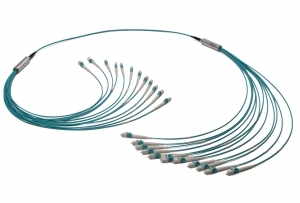 Cost, space and installation time-saving solutions for handy fiber optic network deployment - 12-fiber version with 900um tubings is dedicated to create a direct connection between 2 ODFs within one room. Marking sleeves with each fiber identification saves the installation time and provide simple, but effective way to determine the correct fiber connection. 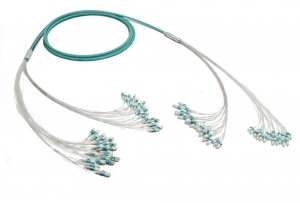 Cost, space and installation time-saving solutions for handy fiber optic network deployment - 12-fiber version with 2mm simplex tubings is dedicated for direct patching of active devices or interconnection racks. 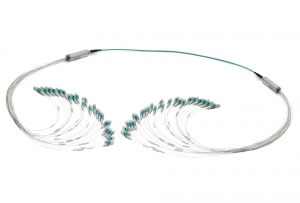 Easy to install, small cable diameter and still ruggedized protection of each fiber - that is the main characteristic of this option. 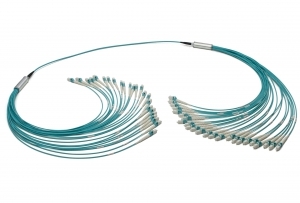 Cost, space and installation time-saving solutions for handy fiber optic network deployment - 24-fiber version with 900um tubings is dedicated to create a direct connection between 2 ODFs within one room. Marking sleeves with each fiber identification saves the installation time and provide simple, but effective way to determine the correct fiber connection. 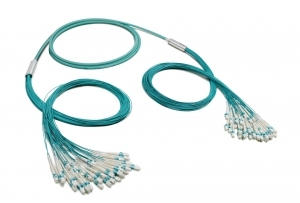 Cost, space and installation time-saving solutions for handy fiber optic network deployment - 24-fiber version with 2mm simplex tubings is dedicated for direct patching of active devices or interconnection racks. 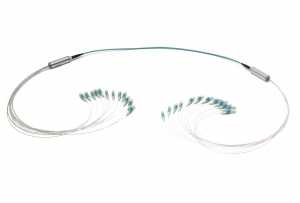 Easy to install, small cable diameter and still ruggedized protection of each fiber - that is the main characteristic of this option. 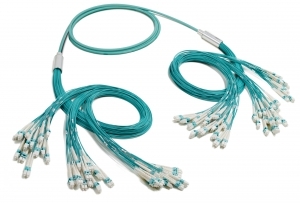 Cost, space and installation time-saving solutions for handy fiber optic network deployment - 48-fiber factory pre-terminated trunk cables with Duralino fanout offers hi-fiber density interconnection links based on compact micro-bundle cable which is complaint with CPR regulation. Option with 900um tubings is dedicated for patching inside of patchpanels. 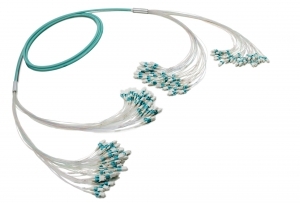 Factory pre-terminated trunk cables with Duralino fanout offers hi-fiber density interconnection links based on microbundle cables, offering thin, compact and flexible easy-to-install trunk. Complex 48-fiber Duralino trunk suits wide range of application where fast and simple installation is needed. 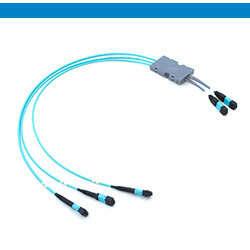 Cost, space and installation time-saving solutions for handy fiber optic network deployment - 72-fiber factory pre-terminated trunk cables with Duralino fanout offers hi-fiber density interconnection links based on compact micro-bundle cable which is complaint with CPR regulation. 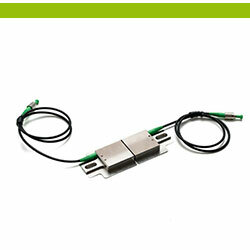 Option with 900um tubings is dedicated for patching inside of patchpanels. 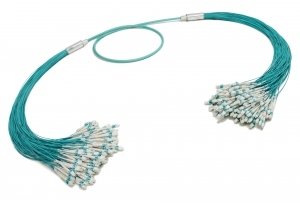 Factory pre-terminated trunk cables with Duralino fanout offers hi-fiber density interconnection links based on microbundle cables, offering thin, compact and flexible easy-to-install trunk. Complex 72-fiber Duralino trunk suits wide range of application where fast and simple installation is needed. 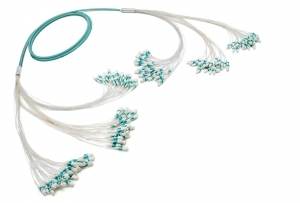 Cost, space and installation time-saving solutions for handy fiber optic network deployment - 96-fiber factory pre-terminated trunk cables with Duralino fanout offers hi-fiber density interconnection links based on compact micro-bundle cable which is complaint with CPR regulation. Option with 900um tubings is dedicated for patching inside of patchpanels. 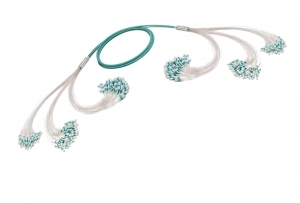 Factory pre-terminated trunk cables with Duralino fanout offers hi-fiber density interconnection links based on microbundle cables, offering thin, compact and flexible easy-to-install trunk. Complex 96-fiber Duralino trunk suits wide range of application where fast and simple installation is needed. 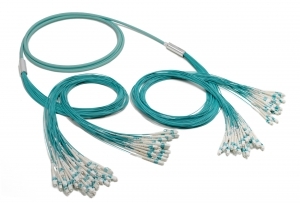 Cost, space and installation time-saving solutions for handy fiber optic network deployment - 144-fiber factory pre-terminated trunk cables with Duralino fanout offers hi-fiber density interconnection links based on compact micro-bundle cable which is complaint with CPR regulation. Option with 900um tubings is dedicated for patching inside of patchpanels. 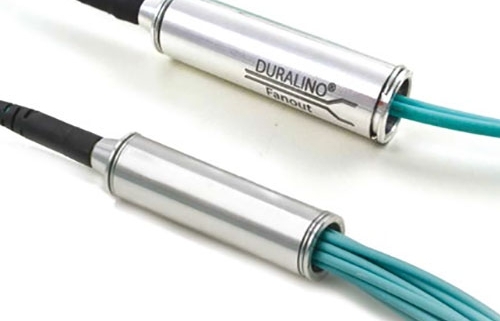 Factory pre-terminated trunk cables with Duralino fanout offers hi-fiber density interconnection links based on microbundle cables, offering thin, compact and flexible easy-to-install trunk. Complex 144-fiber Duralino trunk suits wide range of application where fast and simple installation is needed.